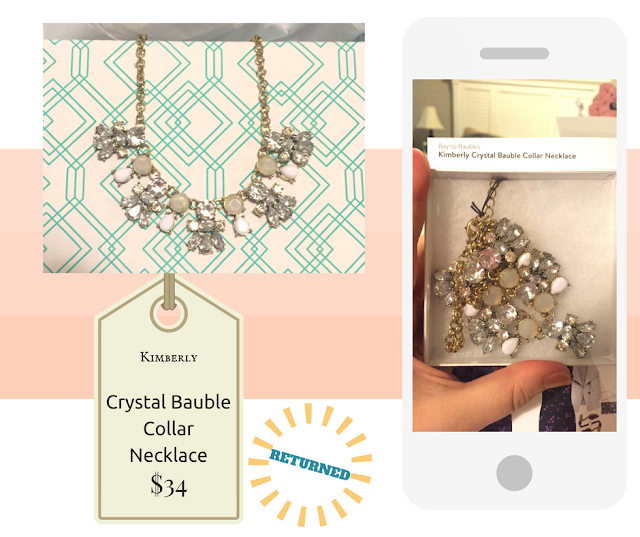 The statement necklace that Stitch Fix sent me, the Bay to Baubles Kimberly Crystal Bauble Collar Necklace (say that ten times fast) was pretty, but I had some trouble with a sticky clasp. I also have been wearing more delicate necklaces lately, so it didn't feel like a keeper this go-round. Returned. 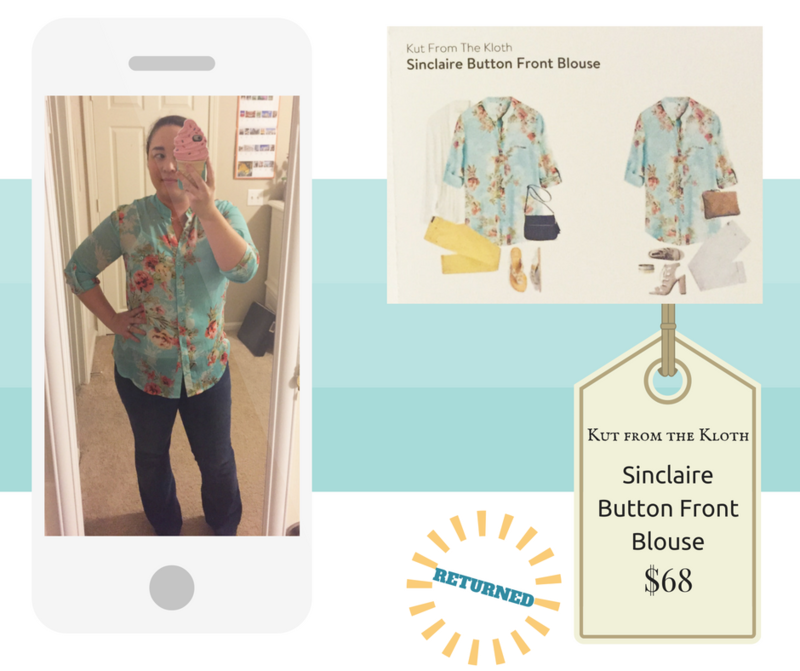 I was really torn about this Kut from the Kloth Sinclaire Button Front Blouse. I really loved the colors and print, but for a see-through, polyester blouse, I just couldn't justify the cost. If I had loved everything else in the Fix, I would have kept it though. Returned. 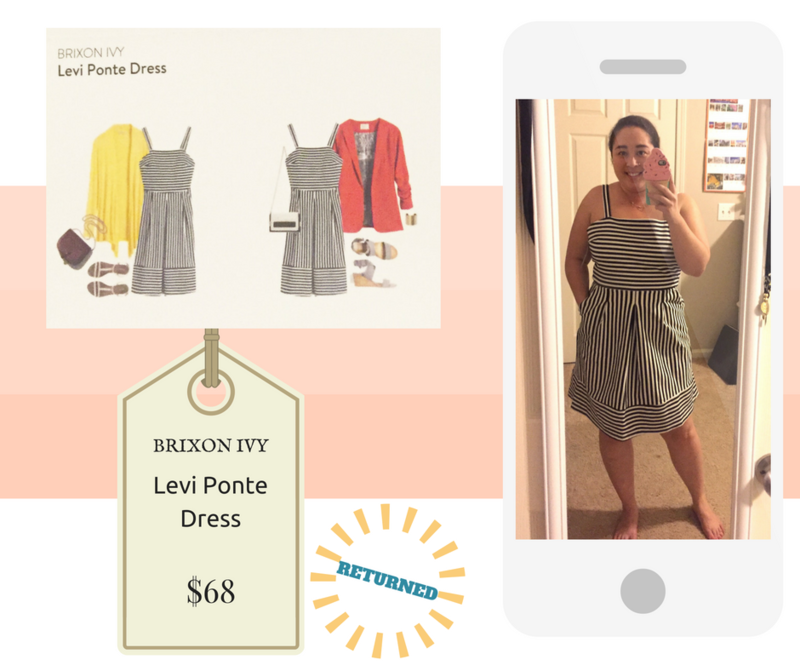 I wanted to love the Brixon Ivy Levi Ponte Dress. The stripes! The pleats! It is SO my style, and in a fabric that I really love. It even had pockets, match made in heaven! But when I put it on, the straps and pleats fell at awkward positions. Great in theory, not great on me. Boooooo. I wanted this dress so badly. Returned, with sadness. 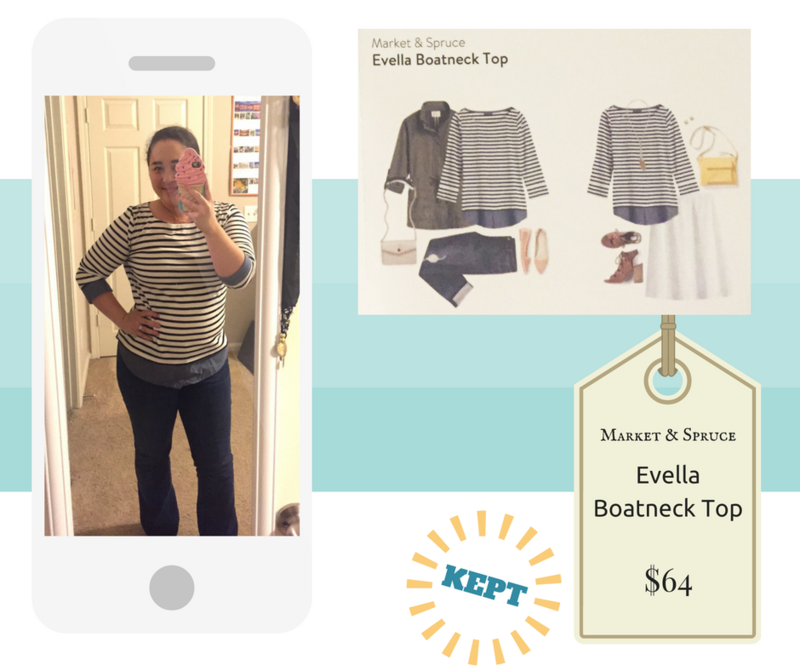 Spoiler alert, I only kept one item in this Fix, the Market & Spruce Evella Boatneck Top. I really love how it looks like a chambray top layered with the shirt. It's like cheating. I had to have it, because it's super versatile. Basic, but wonderful! 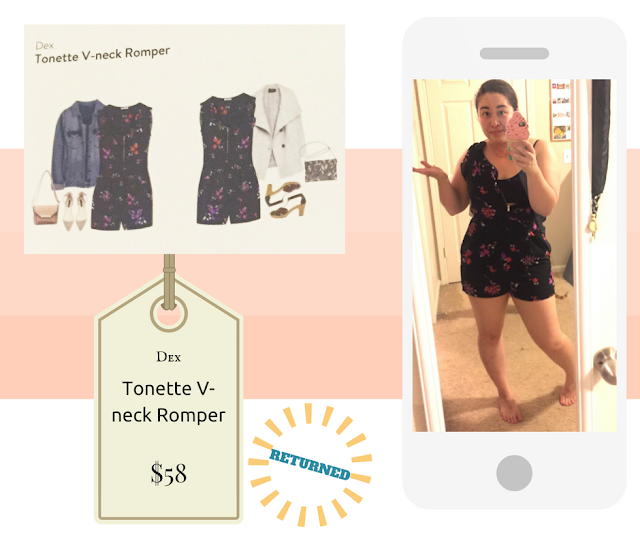 I've had my eye on the romper trend, so I was excited to see the Tonette V-neck Romper in my Fix. Unfortunately, the zipper was a bit too short for what I needed. I could have put it on with a struggle, but I don't want to keep anything that is a struggle! Overall, even though I only kept one item, I still enjoyed this Fix. 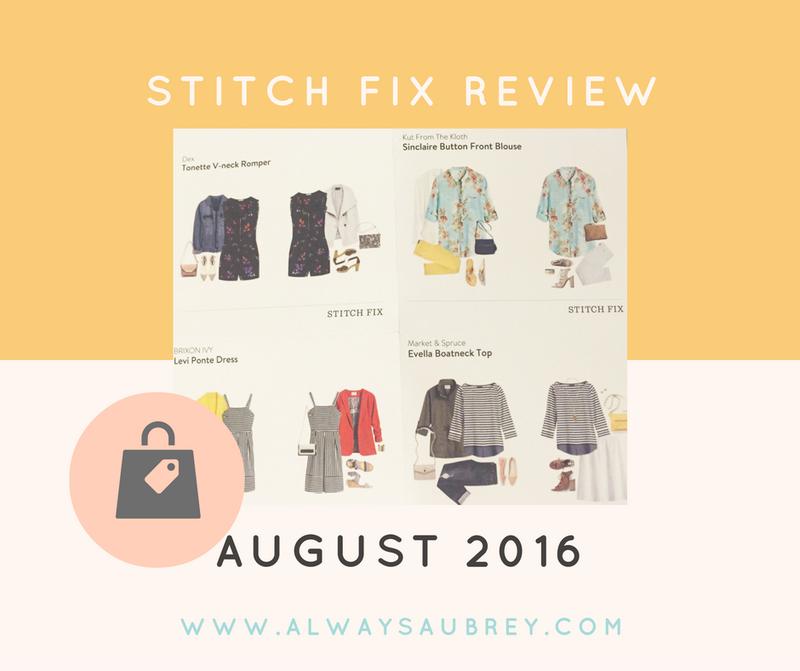 It pushed me to think about prints and things I don't normally wear. I think I'll continue these quarterly, moving one up earlier if I need the help getting some new things in my closet!